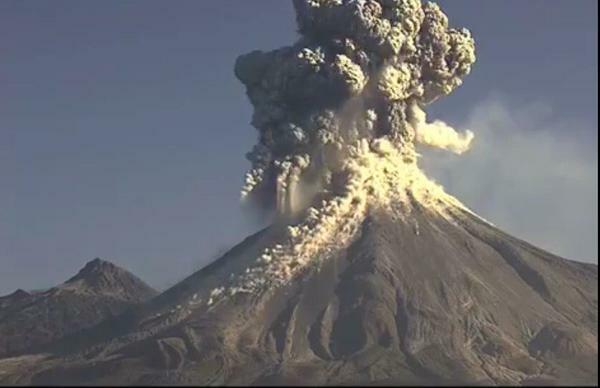 Mexico's Colima or "Fire" Volcano spewed a large column of gas and ash some 2,400m high into a blue sky on Monday (Aug 29). Mexico contains over 3,000 volcanoes, but only 14 are considered active. Major eruptions in Mexican history have included the 1953 eruption of the Paricutin Volcano in Michoacan, the 1982 eruption of Tacana Volcano in Chiapas and the 1986 eruption of the Colima Volcano.